Hacking HDMIPi power switch with Feedback #piday #raspberrypi @Raspberry_Pi « Adafruit Industries – Makers, hackers, artists, designers and engineers! 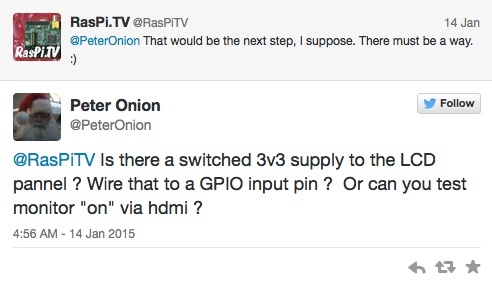 Raspi.tv posted a follow up to their how to hack the HDMIPi Power Switch tutorial- check it out here. In a recent post, I showed you how to hack the HDMIPi power switch so that you can turn the screen on and off from the Pi. …and that was all I needed. Well. That and a multimeter. 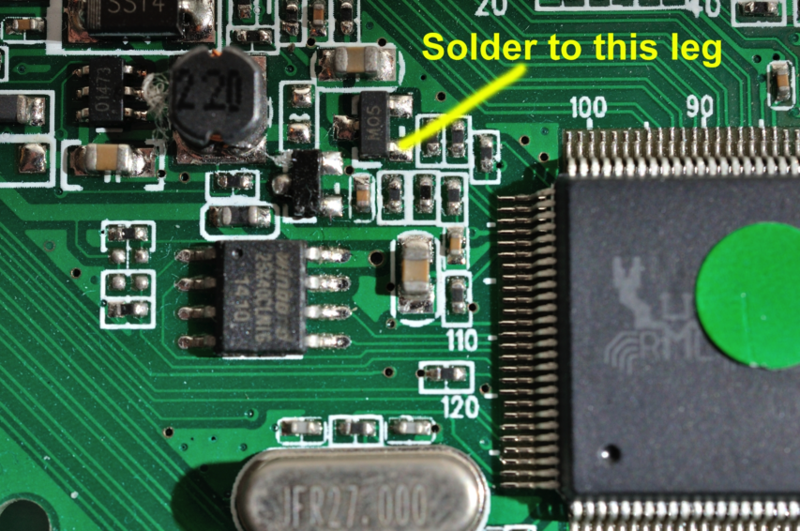 I started carefully probing the various 3-legged semi-conductors on the HDMIPi board. I thought it would take a long time to find what I was looking for, but it only took about 10 minutes. I found a transistor where one leg reads 0V when the HDMIPi LCD is on and 3V3 when it’s off. Perfect! Check out the full tutorial here.